Enjoy 16 vegetarian momos - eat all alone or with a friend - and stay for the free movie. TIBETAN MOMOS and MOVIE NIGHT! In 1937, a two-and-a-half-year-old boy from a simple family in Tibet was recognized as the 14th reincarnation of the Buddha of Compassion and destined to become the spiritual and political leader of his people. Director Martin Scorsese brings to the screen the true story of the Dalai Lama. 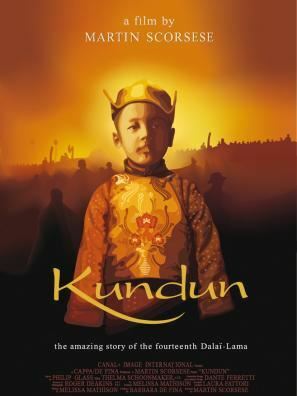 Told through the eyes of His Holiness, "Kundun" brings to life the account of the Dalai Lama's early life, from childhood through the Chinese invasion of Tibet and his journey into exile. 1997 film – oldie but still profoundly moving, despite the years (running time 135 minutes)! Join us for community building! $10 for 7 momos with salad or $20 for 16 momos with salad. In honor of Saka Dawa, the month-long commemoration of the birth, enlightenment and pirinirvana of Buddha Shakyamuni, we will offer vegetarian momos only. The Buddha taught non-harm as a primary life value - so many practitioners commit to eating no meat during Saka Dawa. The delicious filling will consist of mushrooms, potatoes, carrots and chives. Can't stay? Carryout available from 4:30 - 6:30pm. PRE-ORDERS REQUIRED: Call 502-614-5616 or pay here!